They look delicious! I hadn't heard of chocolate and avocado being paired. Yum! I love all your paleo recipes! Thank you!! I'd really like to try these (and other paleo recipes) but I'm allergic to all things nuts, so I miss out on many yummy sounding recipes. Do you know if there is an alternative that is still healthy instead of almond meal? Thanks! Yummy! I would totally have one with a nice steaming cup of chai tea! :) Happy new week friend! I'm curious to know why you adapted... was the original a flop? Or just not as tasty as you would have liked? Just wondering which to go with to adapt to my high altitude home. These sounds great! Love that combination too! Must make. Anonymous- you could always use coconut flour. You might have tp play around with amount though since I am not %100 sure on conversion. I'm going to have to try this! This is probably better suited for an email…but I passed my 3hour glucose test but on the last draw my blood sugar was 45. :/ Yikes. I've always thought I was probably hypoglycemic but now it's pretty much been confirmed. I need to cut back on refined sugars and carbs…I'm cutting back now and then eating paleo after the baby comes for sure now. I have found that using applesauce in muffins with almond flour always turns out great - and pretty muffins (also important!). 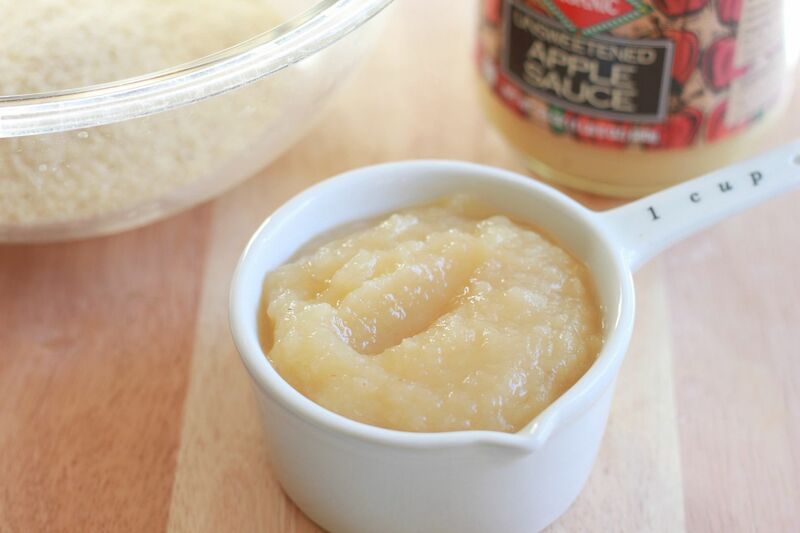 I prefer to use coconut oil, but the applesauce is a nice substitute. :) Will try this, thanks! sounds delicious. i love your food photography! Wish I had Almond Meal! We would have these for breakfast. I'll add that to my list for my next shopping day. I had to laugh about your husband and your recipes. When I bake, my husband always asks if there's anything "weird" in the treat! Some of my creations he has liked, but most are eaten by me and the kids! Made these yesterday and they are delicious! My husband is Celiac and Prediabetic and we're always looking for low carb, gluten free recipes. Your recipes are definitely a winner with us. Thank you! These look delicious linds. I have to try them! Oh these do sound tasty! Apples and cinnamon is one of my favorite combos, too! There are good. I made them yesterday but made mini-muffins, as requested by my daughter. Didn't have applesauce so I blended some apples in the Vitamix. Turned out delish. These sound amazing Lindsay! Thank you so much for sharing the recipe. Can't wait to try! Lindsay these look awesome! I think we'll make them this week for breakfast on the go! I just made these and holy cow!! They are amazing. What you did here is purely magic. It looks so good. I'm craving for a cinnamon cake right now. I wonder if you could substitute honey for maple syrup in a pinch? Nini- I'm sure honey would work just as good! 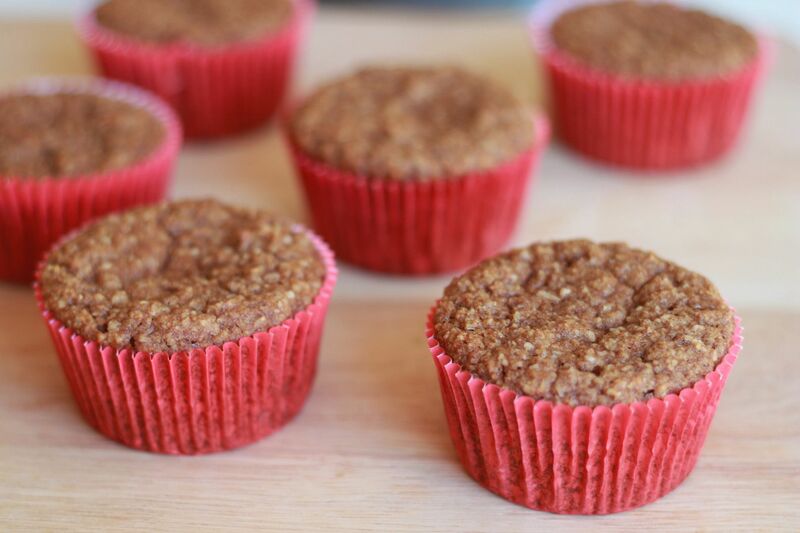 These are the best paleo muffins I've ever had! I had to substitute organic honey and organic agave nectar for the maple syrup but they were still awesome. Thanks so much! They are so good, my cat stole and ate some of them! These are so good I just don't know how I can avoid this for an everyday snack! This reminded me so much of the best cinnamon rolls I had from my hotel stay in London a couple of years back. Thanks! I made these a few days ago when I went home to visit my parents and they were super yummy :) I made them for breakfast and all of them were gone by noon! I have to say that I experienced the same issue as Nini - I used baking cups and half of the muffin got stuck to the paper - I was considering trying again without them and greasing the pan, but it doesn't look like that will work either! Haha. Did you have this problem? Any suggestions? I tried these as my first Paleo experiment. I thought they were okay, much better than I was expecting, but I wasn't quite happy with the texture. I am used to whole grain, sturdy breads. This time I used an unsweetened applesauce with apricot in it, and cut up dried apricots to add in. Instead of just cinnamon, I did a teaspoon of both cinnamon and cardamom. I topped them with a sprinkle of rolled oats, not Paleo I know, but I wanted a bit of texture. Next time I might add sliced almonds on top or hemp seeds. OMG, I just ate four of them. I made them to share with my mom who is borderline diabetic and I don't know if they will make it to her house tomorrow! Lol. Next time, double batch for sure. I used foil muffin liners and didn't have much trouble with the muffins sticking. The didn't exactly come out clean, but they did come out whole, if you know what I mean. I made these this morning for my toddler and they were a hit! I had never heard of almond meal before discovering your blog. Thank you for introducing me to healthier recipes for my growing family. I am making your baked cauliflower next! Have you ever tried this with flaxseed meal instead of almond? I went to the store today hoping to make these later, but they were out of almond meal. Thanks! 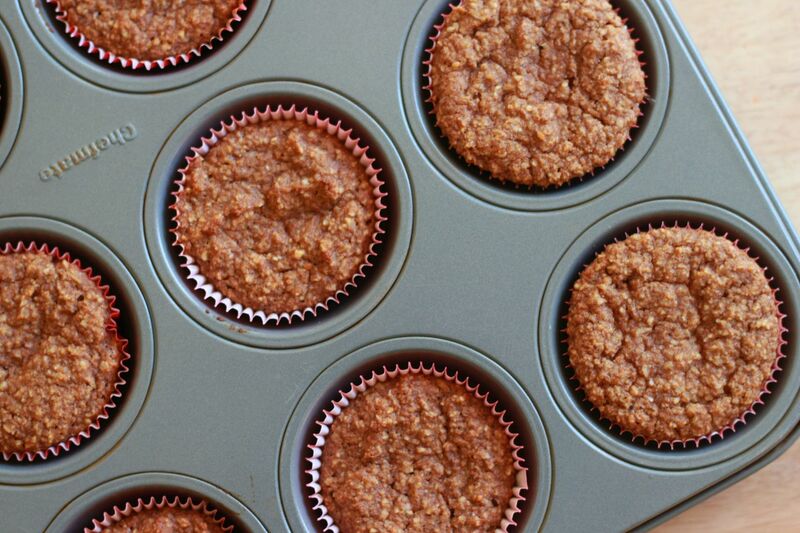 OMG these apple-cinnamon muffins are ah-MAZING!!! My kids AND husband can't get enough of them... I will definitely be posting and sharing this recipe (and your link!) on our website http://redefineyourbalance.com/ - it's a new site, but starting to build it up and this muffin recipe will be kick-a** awesome addition!! hello.am from mauritius.just love your blog.u r awesome.here we don't get applesauce in mauritius.what can i use instead? These are amazing! I'm out of cinnamon, so used Pumpkin Pie Spice instead. Delicious! Thank you! Can you please tell me what type of Maple syrup to use? I have pure maple syrup from a local farm. I am trying to keep carbs to the VERY LOWEST. I would like to avoid using Stevia & Xylito, as I understand they create further problems processing through the liver. --I have just begun trying to bake LOW carb & no sugar for my father who has been diagnosed with severe Type 2 diabetes- If we can control his diet & increase exercise in the next 2 months, he will be able to avoid medication/ insulin. I'm very new to the paleo diet, but I have read that baking powder is not ok for paleo. 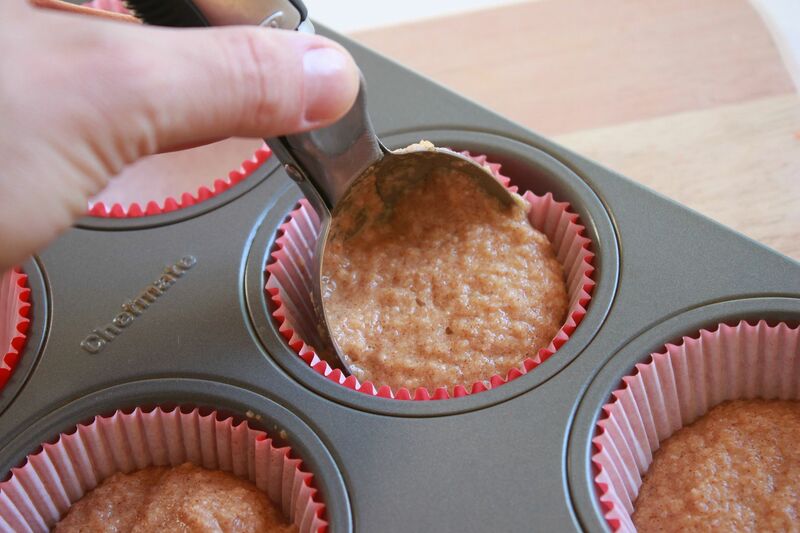 I have tried to sub 1/4 tsp baking soda and 1 1/2 tsp lemon juice for the baking powder. The muffins smell DE- licious right now and look good. I can't wait to try them. Thanks for the recipe. just made these this morning and they turned out great. used my mini muffin pan and got nearly 48 mini muffins :) cut the baking time to 15 minutes. my boyfriend came home from work and had to stop himself after popping 3 or 4 because i was just finishing cooking dinner. can't wait to see how they will go over when i take some to work tonight. awesome recipe, look forward to trying others of yours. is almond meal and almond flour the same thing?? I have all the ingredients except that?